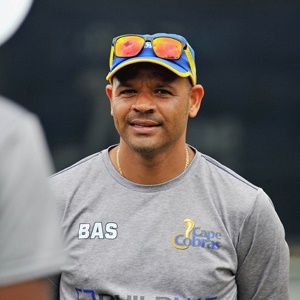 Cape Town - Western Province and the Cape Cobras have set high standards as a domestic powerhouse over several decades and they have an obligation to their fans and their own sakes to maintain it, said a disappointed head coach of the Cape Cobras, Ashwell Prince. “We have been domestic leaders in setting standards and it is my duty to make people understand our proud history. “We have to maintain it. There is no free ride (in the Cape Cobras team),” Prince said. “If you represent the Cape Cobras, it brings high expectations, and we must embrace the challenge,” he said. Prince said Cape Cobras fans are disappointed about the way the Cobras have lost in the Ram Slam T20 Challenge, as they should be. He said it is not that other teams scraped over the line against the Cobras, and the manner of their defeats have been hard to swallow. The former South African batsman said two or three losses don’t define a cricketer. The players must maintain their self-belief and not allow themselves to harp too long on the negatives. They need to set the record straight, but that must be done in the middle in the weekend’s matches in the T20 Challenge. The Cape franchise will clash with the Highveld Lions at Boland Park in Paarl on Friday (starting at 18:00) and on Sunday the Cape Cobras will face the Knights at 16:00 at Newlands on Sunday. That T20 Challenge match is the second of two at the iconic ground on Sunday. The Warriors and the Lions will kick off a festival of T20 cricket on Sunday at 12:00 at Newlands. Asked about the defeats in the past weekend’s matches, Prince says excuses won’t cut it, as conditions in both matches were equal for both teams. The fact that the lights went out in the seven-wicket loss against the Highveld Lions after about 16 overs, came at a very disappointing time, as the Cobras were in an excellent position to score 180. They lost momentum after the interruption and could only post 169 for six. In the match against the Multiply Titans, the Cobras batted first on an “awful pitch”. But, again, the team could have adapted earlier in terms of the batting and conditions were similar for both teams. Richard Levi has a badly bruised finger and is in a race against time to be ready for the match on Friday against the Lions at Boland Park in Paarl and the Knights on Sunday at Newlands.